The Beatles Through The Years: The Beatles 1+ Video Collection DVD/Blu-Ray Coming November 6th. 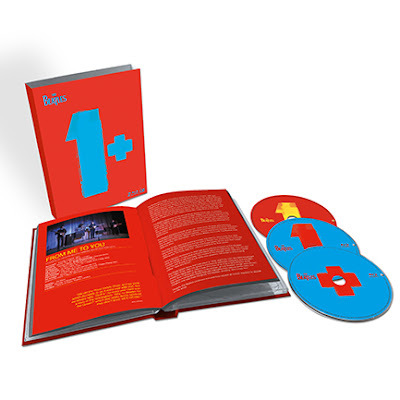 The Beatles 1+ Video Collection DVD/Blu-Ray Coming November 6th. One of the DVD sets from the new Beatles 1 DVD/Blu-Ray collection. The new editions of The Beatles 1 have been made possible following extensive research, and restoration of the original promo films, classic television appearances and other carefully selected videos spanning the band’s history. Apple Corps dug deep into The Beatles’ vaults to select a broad range of films and videos for their rarity, historical significance and quality of performance. An 18-person team of film and video technicians and restoration artists was assembled by Apple Corps to undertake painstaking frame-by-frame cleaning, colour-grading, digital enhancement and new edits that took months of dedicated, ‘round-the-clock work to accomplish. The Beatles 1 and 1+ Video Collection and the Deluxe Edition will be released on November 6th. It is available to Pre-Order in our store. You can find it on the last page of the DVD section. This collection has answered many fans wishes for their promotional films to be released officially and now you can finally own the Beatles' promotional films, their 27 Number One singles and all the bonus features with commentary from Paul and Ringo!